Got a question for our masterminds of meat? Send us an email here. Learn which cut is from where here. TIP: ​Preheat oven to 220, rub plenty of oil and salt over pork. Place in oven for 20 minutes to get a good crackle then drop temp to 170 for the remaining time. Cater for your next party or function with a spectacular spit roast! Cuts? Cooking times? Correct cutlery? 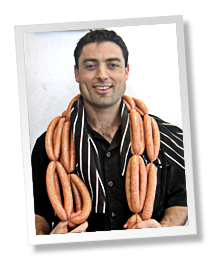 Simply ask any question regarding meat and have it answered by our experienced butchers.